So that's not exactly accurate. Mom's up, and so are both the dogs who I just let outside, and so's Kitty-cat (that's her real name) who raced past me a few moments ago, - almost legging me up, as I ran the living room toy-gauntlet. The human contingent are sound asleep though. WAHOOOOOOOO! It's that sacred of all time; Mommy time! Why isn't cray-cray Momma sleeping? I just did! I had almost 6 hours of straight solid shut-eye (gold dust to a nursing mommy) and it was wonderful. I've been awake since 5:20ish nursing our swaddled-tight Miss D, who'd been on the wagon ALL night. She hadn't had a drop of the white stuff since...11pm.... No, it was even earlier than that.. when the boys went to bed..! That can't be right.. Holy crap! That's incredible! It must have been the cereal she ate at dinner time. Anyway, now she's fast asleep again too. I'm on the floor of the cabin, with my back pushed up against the mini staircase that leads through to our extension (the main house itself). My bottom is on the only carpeted bit of the cabin floor, and it's really cold; the floor and my bottom. We started off with a little 400 sqft cabin, a little over four years ago, but when S-Boy came along we soon decided we needed at least another 800 sqft or so to store all his baby stuff. It's crazy how much 'stuff' a firstborn baby needs. What's crazier is how much less 'stuff' Little Miss D needs.. The dogs are peering at me underneath the 3 quarter-way pulled down blind on the full lite door leading off to the front deck. They needed to pee, but it's far too cold for them to want to stay out and play. They're both vibrating so I know they're wagging their tails hopefully at their blogging Momma. Unfortunately for them I'm not budging until I hear my favorite morning ditty; those three blessed bleeps telling me that my coffee is ready - Music to Momma's ears! 'Mommeeeeeeee!' One entire hour later than usual. 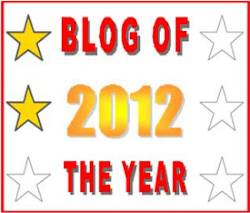 Opportunistic blogging is over. It's time to feed the tribe Weetabix.